PowerShell's Get-Credential disappointed me. I had hoped that this cmdlet would 'capture' my current credentials and encrypt them. I now realize that Get-Credential has a different purpose, which is to supply a dialog box for us to enter an alternative name and its password. 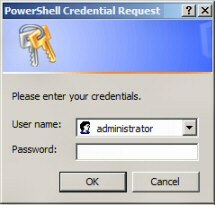 A typical scenario for Get-Credential, is when you are logged on as ordinary user and you need the credentials of an administrator so that the rest of the PowerShell script will execute successfully. You may wish to append the -Credential parameter followed by the name of a user account with more rights. Note 1: Most people put the user name "administrator" in double quotes. Note 2: As with all PowerShell nouns, remember that credential is singular. The point of this example, in fact the only reason for using Get-Credential is that the current user has insufficient privileges to run the rest of the PowerShell commands. Note 1: If you were already logged on with administrative privileges on the network computer it would be pointless to add the Get-Credential code. 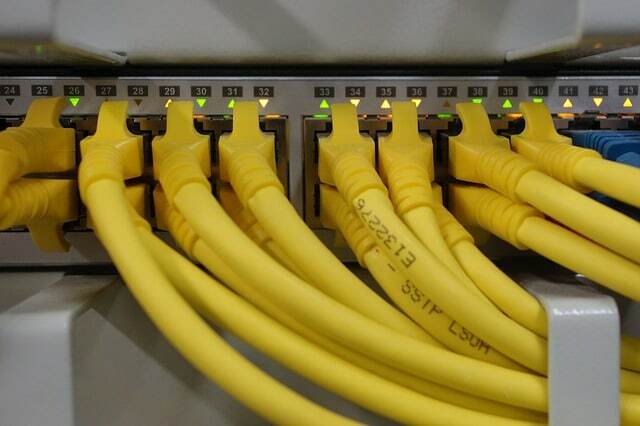 Note 2: This command won’t work on your network unless you change -Computer ExchSrv to the hostname of a machine on your network. Incidentally, if the command still does not work try disabling the firewall. Problem: To obtain the password in a clear text. This is not recommended and it's certainly not secure, however, from a scripting point of view the methods are interesting. Note 3: Homeb0y was the password typed in the box to the right. Note 4: The results reveal that you could use -Message. The examples explain how to get details from another computer using Invoke-Command with Get-Credential. In truth, there are not as many properties and methods for Get-Credential as for many other PowerShell cmdlets. The idea of adding this registry setting is twofold, firstly to suppress the credential dialog box, secondly so that you can type the username and password at the command line. While this technique just would not work for me in Windows Server 2008 PowerShell v 2.0 (CTP3); it DID WORK in WINDOWS 7. You have to imagine that you are now at the PowerShell command prompt. 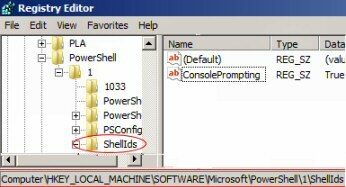 Note 5: I say again, this did not work in Windows Server 2008, even though I could see and control the ConsolePrompting key in the registry at: HKLM:\SOFTWARE\Microsoft\PowerShell\1\ShellIds. And the value was set to ‘True’. Note 6: The above technique did work in Windows 7. I kept it simple just launched the PowerShell command line and typed: Get-Credential. Incidentally, there is no need to type a -ConsolePromting switch. The dialog box says it all. If a PowerShell script needs elevated privileges – administrative rights, then include the Get-Credential code to collect the relevant information.